Shinjuku, one of the biggest downtown in Tokyo, has many busy izakaya streets. Shinjuku Nishiguchi Omoide Yokocho is one of them and it’s packed with izakaya. Among izakaya streets, the scale of Kabukicho is one of the biggest one in Japan. Izakaya is a Japanese style pub and it serves you small dishes and spirits. Many of them serve grilled chicken skewers called yakitori. Today we’re going to introduce an excellent izakaya Torimitsu. Torimitsu is located behind the Shinjuku Toho Building, which is a very unique building that Godzilla head emerges on. The izakaya offers yakitori including innards and “a white liver” which is a fatty liver just like foie gras. A young married couple is running this new izakaya that was build only 4 years ago. The couple is really good at caring their customers. People enjoy eating dinner at this cozy and clean restaurant. It has only 12 sears so it’s a very small izakaya compare to standard izakaya and bars. Fortunately or unfortunately, the popularity of Torimitsu makes people hard to secure their seats. People love Torimitsu’s yakitori so much that often the stock will be completely wiped out in a short time. It’s better to call the izakaya to make a reservation before you visit. You will know why so many people love this izakaya once you have a taste of their amazing yakitori and local sake that the owner personally selects. Torimitsu is known for its excellent yakitori, especially Nankotsu (chicken cartilage). If you order Nankotsu, you will be served with sasami (chicken breast tender) with wasabi, a white liver and nankotsu. Nankotsu has a very rich flavor with the aroma of cheese. Once you have it, you won’t be able to forget the taste. It goes very well with sake. Among spirits that Torimitsu serves, Japanese sake is popular. There you can have some high quality Japanese sake that Japanese people actually love. It’s worth to try because some local sake are not available outside of Japan. If you want to eat yakitori and Japanese sake, Torimitsu is the place to go. Izakaya is a Japanese style pub that people can have fun hanging out with spirits and delicious food. Japanese people use izakaya for having drinking parties with their coworkers or friends from their university. Franchises izakaya offers Japanese food and Japanese sake for reasonable prices. 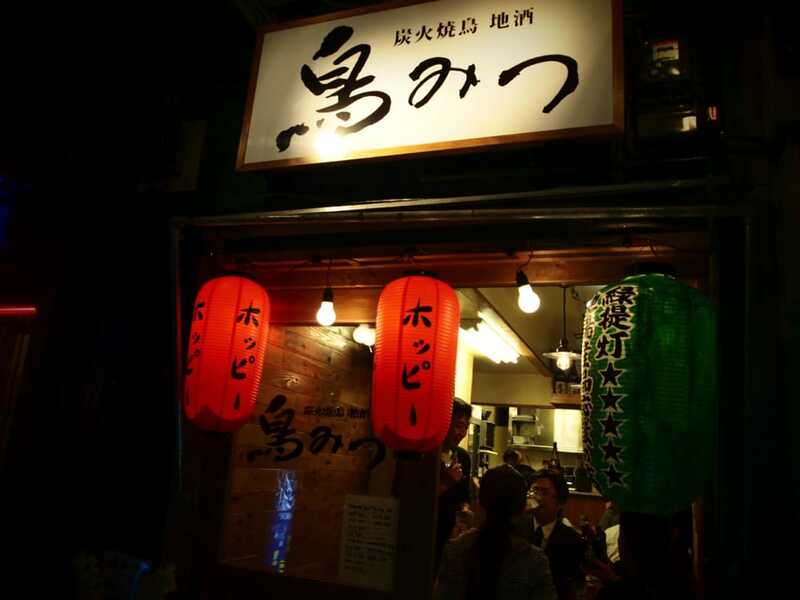 Depends on an izakaya you can eat high quality food and delicacies. Shinjuku is east of Tokyo and is a bustling area that spreads out from Shinjuku Station and the Tokyo Metropolitan Government Building. Essential izakaya streets like Shinjuku Nishiguchi Omoide Yokocho is located here. You can find hints of Showa era Japan from the appearance of Shinjuku Nishiguchi Omoide Yokocho. The street is also known as a place that gives an ease of mind among busy Japanese salaryman. In Shinjuku international tourists can sign up for Tokyo Bar Hopping Nightlife Tour. You will meet your guide at Shinjuku West gate area and the guide will take you around Shinjuku Nishiguchi Omoide Yokocho area and Ebisu Yokocho area. 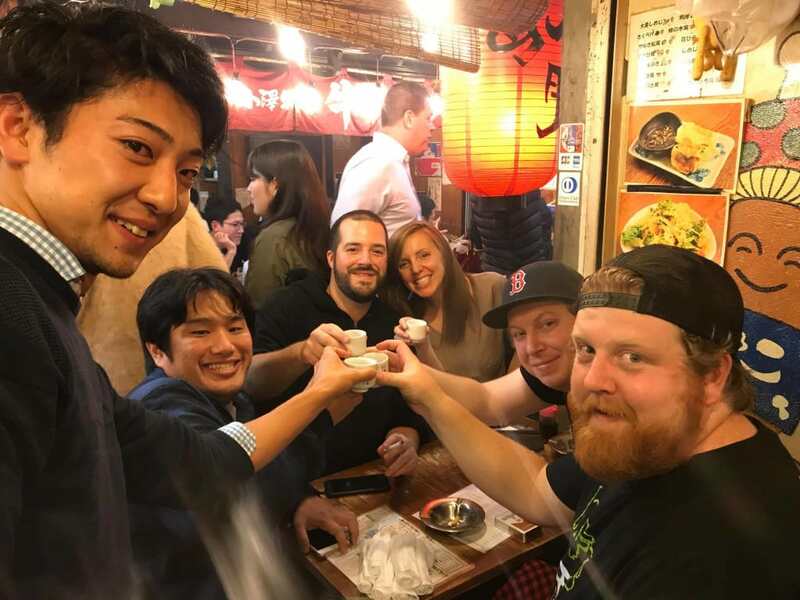 Any tour will treat you with excellent food and fun hanging out with Japanese locals.